Marching 73 miles from sea to sea across some of the wildest and most dramatic country in England, Hadrian's Wall World Heritage Site is perfect for a short-break, spring walk or family day out. Experience Roman life and epic history in stunning locations. The North Pennines is a bird watching hot spot and a wonderful place to watch rare and iconic birds. it also has a rich industrial heritage, some of the best walking, cycling and horse riding in the country, great days out for families and much, much more, all within easy driving distance of Woodside Lodge. A comprehensive and informative website which features all you need to know to enjoy the Wall - the northernmost frontier of the Roman Empire. Even more information about the wall, one of the greatest attractions in Northumberland. Hexham is a charming market town characterised by its stone architecture, cobbled streets and historic buildings. Combine this with a blend of boutiques, high street favourites and regular outdoor markets offering you a unique experience. A warm welcome awaits you in our many quirky coffee shops and award-winning restaurants. Boasting its own racecourse, theatre, cinema, golf courses and leisure centre, including a pool, running track and tenpin bowling, its warm and friendly people make Hexham sparkle like a precious stone. Hexham is well positioned 20 miles west of Newcastle upon Tyne and 30 miles east of Carlisle with good road, bus and rail connections. Whether you visit for the day, use it as a base to explore Hadrian's Wall and the Northumberland there really is something here for everyone! The North Pennines is excellent country for walking, cycling and wildlife-watching. There are many footpaths and bridleways to explore, including the Pennine Way National Trail, the C2C National Cycle Route, the Pennine Cycle Route, the Pennine Byway and the Pennine Bridleway. Derwent and other reservoirs offer opportunities for sailing, fishing, canoeing and even water ski-ing. Witness the stunning views, explore natural wilderness and become immersed in the history while visiting Hadrians Wall and Housesteads Fort. Walk alongside the wall to Milecastle 37 and the infamous Sycamore Gap, taking in the amazing sights on the way and visit the Fort for a real insight into Roman military life. The North Pennines is one of England's most special places, and best kept secrets - a stunning landscape of open heather moors and peatlands, attractive dales and hay meadows, rivers and streams, wonderful woodland, welcoming communities, and fascinating remnants of its mining past. The area has been designated as an Area of Outstanding Natural Beauty (AONB) and is also a European and Global Geopark - highlighting its globally important Earth heritage. 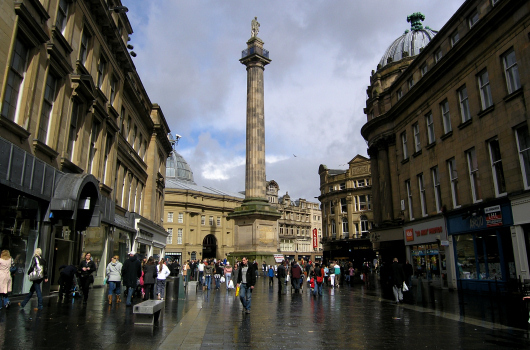 The official tourist information visitor website for Northumberland. Here you'll find all you need to know about the attractions, events and things to do in Northumberland.